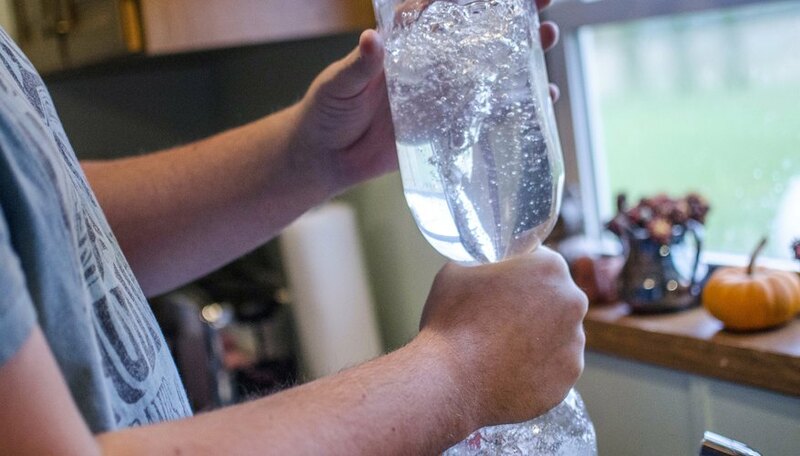 Simulating the vortex of a hurricane in a 2-liter bottle is a straightforward and simple at-home or classroom experiment. With a little tape, some hard plastic piping and other inexpensive materials, you can build a fun and reusable science project that illustrates the natural laws behind vortices, the physical phenomena that characterize hurricanes and tornadoes. The formation of a vortex in a bottle results when centripetal and centrifugal forces are applied to a system with varying densities, in this case the difference in density between air and water. In nature vortices form when a wet weather system collides with dry air. In both systems the difference in density powers the vortex formation. 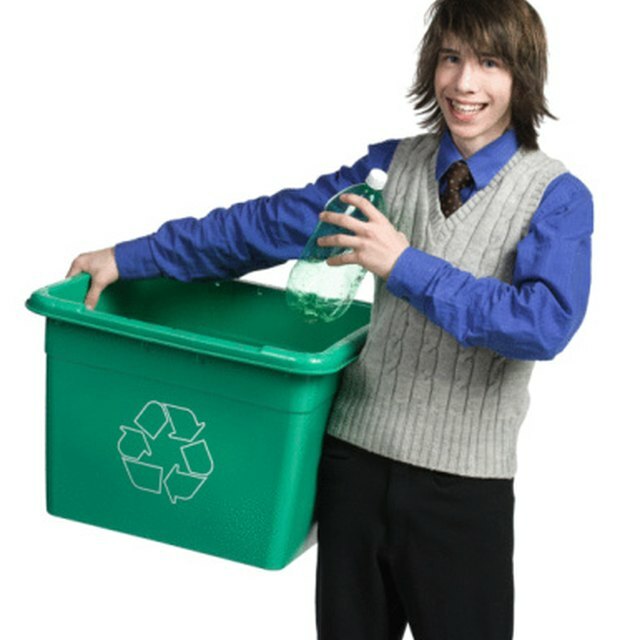 Rinse out the bottles and remove as much of the exterior labels as possible. Soaking the bottles in hot water will help you peel the labels off more completely. Fill one of the bottles with 750 ml of cold water. The water should fill roughly three-fourths of the bottle; more water will make it harder to create the vortex while less water will shorten its duration. Flip the second bottle upside down and place it on top of the filled bottle. 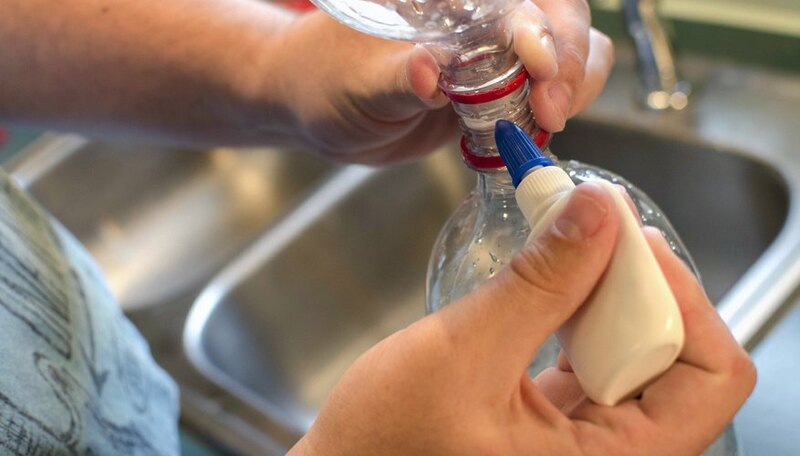 Using a strong glue, attach the two bottle openings together to create a watertight seal. Allow the glue to set. Cut the duct tape to size and apply liberally around the connection joint to complete the seal. Create the vortex by flipping the bottles over and rotating the top (water-filled) bottle in a rapid clockwise or counterclockwise direction. This action creates centripetal force, directed toward the center of the bottle, which pushes the water and air to the outside. Because air is less dense than water, the air gets squeezed into the middle, causing the vortex to form. Centrifugal force, sometimes referred to as the inertial force in Newtonian mechanics, causes the air in the center to push against the water on the outside. The farther down the vortex, the greater this force becomes, which is why the water flows faster at the bottom of the bottle than at the top. It's important to note that both bottles contain substance: the bottle on the bottom is filled with air, which naturally wants to displace the more dense water at the top. If you don't spin the top bottle, the water and air both clumsily compete to displace one another (forming bubbles). Spinning the top bottle creates a better avenue for air flow, resulting in vortex formation and faster water drainage. Strengthening the joint between the bottles will increase the longevity of the experiment and make it easier for children to use. A simple way to do so is to buy a short length of PVC piping from a local hardware store. PVC piping is cheap and durable and, depending upon its diameter, can be placed either inside or outside the bottle openings. Enhancing the visual effect of the vortex will make it more interesting and informative. 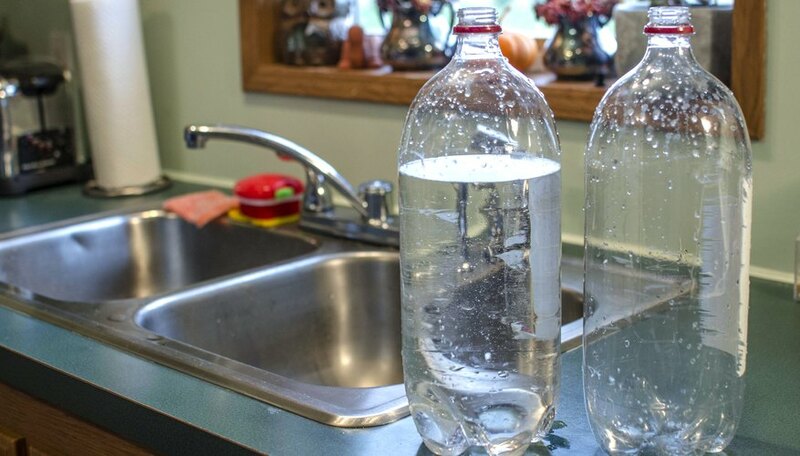 This can be achieved by cutting up small pieces of the bottle label and adding them to the water in Step 2. As the water empties, the slips will move faster near the bottom of the vortex, thus illustrating centrifugal force. Colored lamp oil, or any colored liquid less dense than water, also can be added in Step 2 to create a colored vortex. This will make the vortex more visually pronounced and can also better illustrate the concepts associated with density. Patrick Ferrara is a freelance writer, technology enthusiast and chemist in the New York City metro area. Holding degrees in both film studies and biology, his work oscillates between the purely technical to the wholly creative with most of his published articles featured on the genre site Mania.com. Ferrara, Patrick. "How to Make a Hurricane for a Science Project." Sciencing, https://sciencing.com/make-hurricane-science-project-5373251.html. 24 April 2018.